Online, easy to use, accessible from anywhere, beautiful. 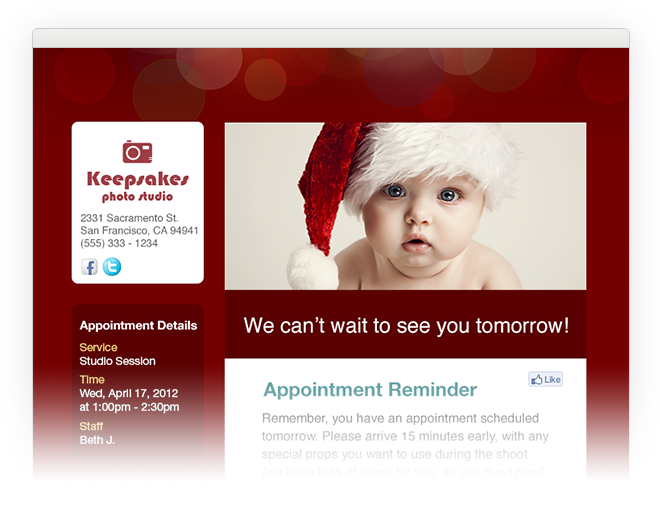 Let customers schedule appointments on your website or Facebook page. 24/7. No more phone tag. No more pen and paper. No more hassle. Email and text reminders. 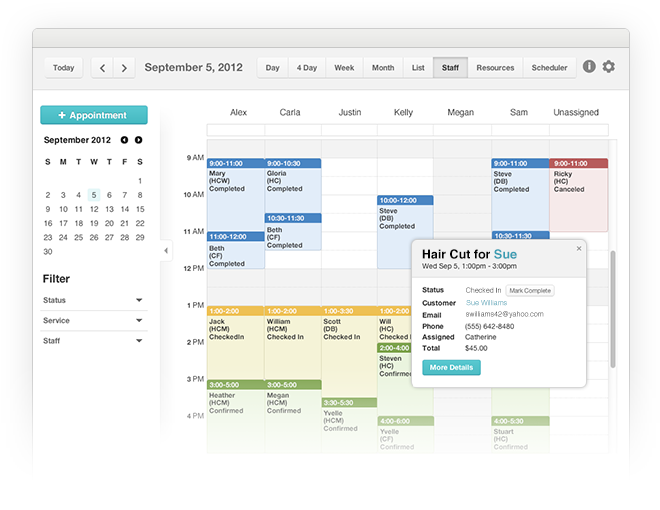 Eliminate no-shows. 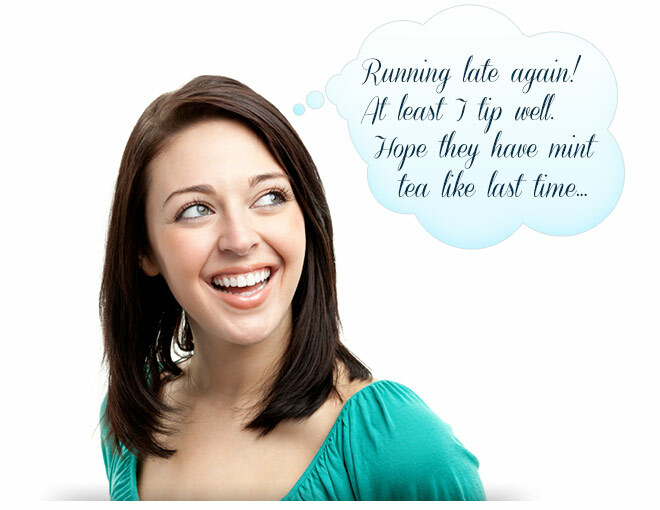 Loves mint tea, always running late, big tipper – everything about your customers at your fingertips. No more note cards to keep track of or forms to fill out. Quickly find your biggest fans, highest spenders, and more. New offerings. Events. Promotions. Wow your customers with a few clicks. Great reviews automatically show up on your website. Happy customers share their glowing reviews on Facebook with a click.